If spousal report remains unpaid, enforcement options are available. The Court may order either spouse to pay alimony to the other. In the past, most alimony payments were made by the husband to his former wife. Now that more women work outside the home as well, it is becoming more common that women are being ordered to provide financial support to their former spouses. Alimony payments may be ordered on a temporary basis until the former spouse can become self-supporting, remarries or cohabitates with another adult. Permanent payments can be ordered in a situation where the former spouse is unable to work. If spousal support payments are not made as directed, a number of measures are in place to enforce alimony. In a situation where the Court had ordered that alimony is to be paid and the order is not being complied with, a Complaint for Contempt may be filed with the Court. This option is to be used in a situation where there is reason to believe that he or she has the means to pay, but is refusing to do so. A Complaint for Contempt is not to be used as a means of harassing the payer. The person who is in arrears will be called to defend themselves, whether they have left the jurisdiction or not. The Court may order that the payments be deducted from the individual's paycheck or by direct withdrawal from a bank account. A judge does have the power to order that the non-payer be jailed until they agree to make the payments as ordered. A lower-cost solution to recover support payments is to have the payer's wages garnished. Under federal law, the maximum amount that can be withheld is 25%, although some states have maximum limits set at a lower amount. Under the provisions of the Consumer Credit Protection Act (CCPA), a person cannot be dismissed from his or her job because of a wage garnishment. Some states will provide assistance to enforce an order for spousal support if there is also unpaid child support from the same individual. Contact the local child-support enforcement agency to see if this is an option. However, any enforcement of an order for alimony will cease once the child support payments are paid in full. Yet another option to enforce an order for alimony is to retain the services of a private support collection agency. Support Collectors provides services to people who are owed alimony and/or child support payments. There is no fee to retain Support Collectors; instead, they withhold 30% of the support payments they collect as a fee. Before you retain Support Collectors or any private support collection agency to act for you to enforce alimony or child support payments, take the time to investigate the company thoroughly. Check the company's record with the Better Business Bureau. Ask about how they calculate fees and when these fees are payable. Find out whether the collection agency has investigators and attorneys on staff to assist you, if necessary. There are a number of ways in which an order for alimony may be enforced. 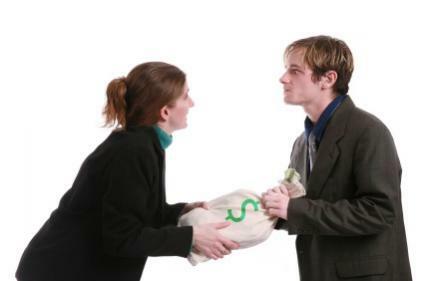 If you are owed alimony payments that you have not received, contact a family law attorney to discuss your options. Before taking steps to enforce alimony, the lawyer should conduct an investigation to determine whether the payer is deliberately withholding payment or simply doesn't have the means to pay. Once this information has been determined, a specific plan of action can be mapped out.